Steve Ashton. A Wildlife Photography Blog. : A Yellow-browed Warbler at Dover. A Yellow-browed Warbler at Dover. 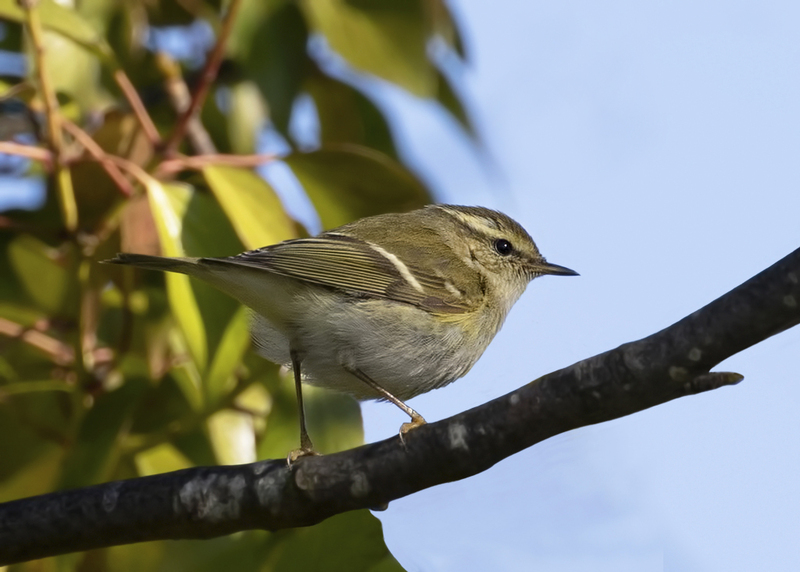 I went to see the Yellow-browed Warbler at Pencester park in Dover this morning. Very trying conditions with a gusty South Westerly gale making for a very difficult session with the bird. I managed several fleeting glimpses of the bird but mainly it remained hidden low down in the foliage and sheltered from the steadily increasing wind gusts . I did manage a half reasonable record shot of the bird before leaving for the sanctuary of my car, grateful to be out of the rather annoying wind. Whilst peering into the bushes I also saw a Blackcap and a Chiffchaff. Well worth the trip and the buffeting from the wind as I learnt from an article on the K.O.S facebook group that this only the fourth record of a Yellow-browed Warbler over- wintering in Kent.